Ten games and two goals into the season and Osama Rashid, 23, is already making waves across the Portuguese Segunda Liga. 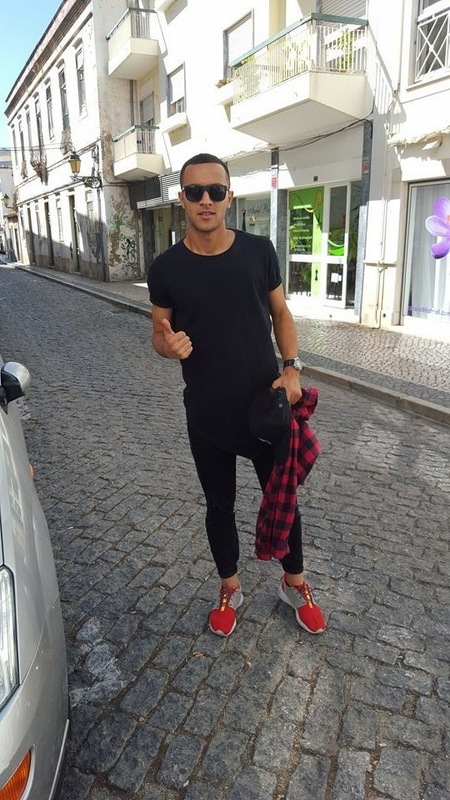 The midfielder has settled in well at Sporting Clube Farense following his departure from Dutch side Alphense Boys last summer. 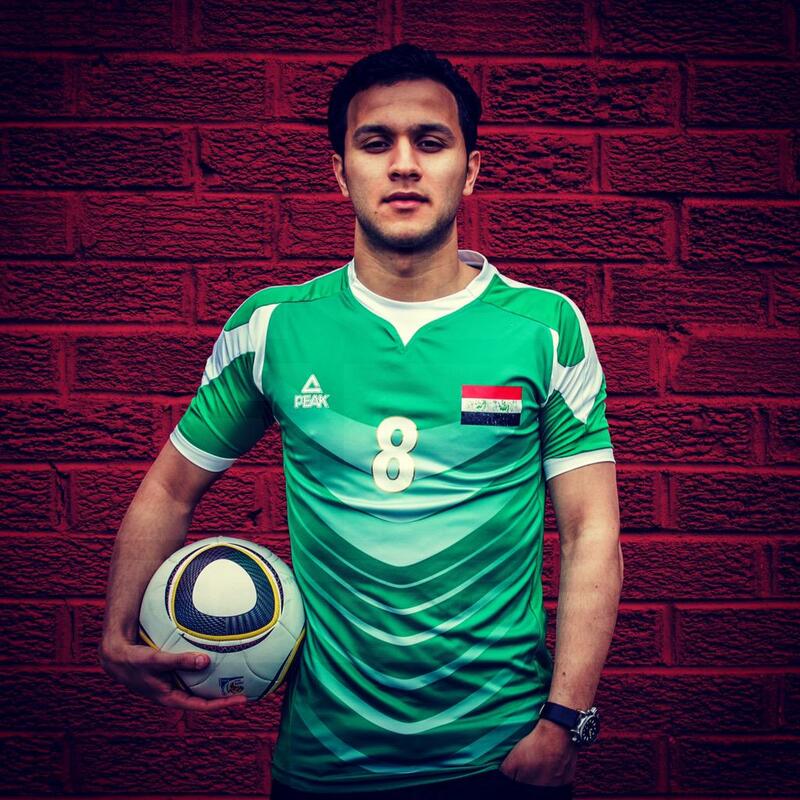 As is the case with many Iraqi expat players, his story is a long and arduous one. Born in Kirkuk and raised in Holland before his move to Portugal, Osama offered a rare insight into his journey as we spoke. His humility and laidback demeanour were noticeably contrasting with his explosiveness on the pitch. Although shy and polite, the Iraqi international held nothing back in this exclusive interview. You’ve made a very promising start to your SC Farense career. How happy have you been with your form? “My form is getting better. At the start, it was obviously difficult due to the intensity of the league being a lot higher than Holland. It’s very physical here but I feel better now and I’m learning to adapt my game. I’ve been working hard at the gym too. More importantly, I’m actually playing matches. The more you play, the fitter and sharper you become, which is helping me get used to the standard of football here. The first four matches were a little bit difficult but it’s getting better. I have a good feeling about the way things are going so far. How are you finding life in Portugal? “I’m currently living with my Saudi teammate (Saeed Al Mowalad). The club have provided us with a really good apartment here in Faro. It’s going pretty well. I’m learning to cook for myself. Recently it was international break and we never had a club match, so I was able to go back to Holland and visit my family. I was so happy to eat Iraqi food again. I miss everything – all the foods! Fassoolia, bamya and dolma especially. Life here is very good – the weather is good. It’s going well. Most of the players here speak English so that’s helped me settle in a lot. Luckily, I speak a little bit of Spanish too, which is not too dissimilar to Portuguese. Did you receive any other offers in the summer, and what attracted you to SC Farense? 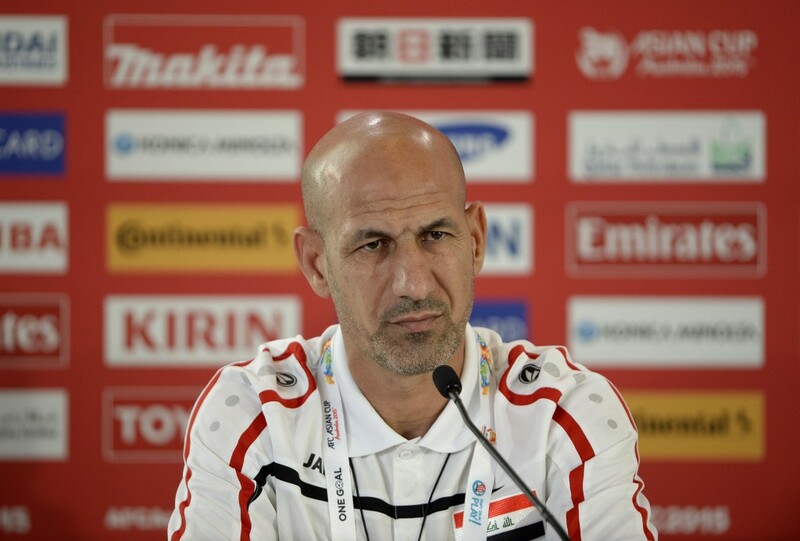 What did you make of Iraq’s chances for World Cup qualification after their performances against Chinese Taipei and Thailand? “I think we can make it. The performance against Chinese Taipei was good but the game against Thailand was less so. We threw it away in the last ten minutes. When I turned up to training, everyone was asking me how we managed to throw away the game after leading 2-0. I only managed to see the goals and not the full match because I had training. There were some complications in your recent call up to the Iraq squad. What happened? The national team did exceptionally well under Radhi Shenaishil at the last Asian Cup. What did he excel at? “Honestly, previously I always felt some tension between expats and the local players but when Radhi came in, it was different. From the first day, he sat us down and explained to everybody that there was no differences between us and that we were one. He made it clear that nobody was allowed to use the words ‘mughtarifeen’ (expat) anymore either – we were all the same. He was very respectful to everybody there and everyone respected him too. The way he worked, but also as a person. For example, in the Asian Cup, the players had received bonuses after reaching the semis. He made sure all the other staff received their fair share too, such as those in charge of equipment, etc. Gonzalo Rodriguez seems to have a very positive relationship with a lot of the players. How did you find working with him? “He’s brilliant at what he does. 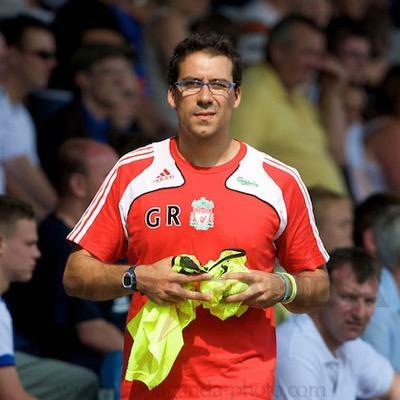 He knows his stuff and has worked for enormous clubs like Liverpool and Valladolid. Fitness coaches … Very few footballers like them! But with him, it was really good. He makes it fun. He always tries being creative with his exercises so you’re never thinking: “I don’t want to do this again”. He’s very experienced, and polite. How important are expat players to the future of Iraqi football? “They’re the future of Iraq. I say this with respect to all the local players, who are of course fantastic too. It’s a sensitive topic to discuss sadly, as I don’t want this to come across as an attack on local players. Regardless, the expat players hold an important position in the future of Iraqi football. I hope the local players also make moves towards Europe and follow in the footsteps of Ali Adnan and Dhurgham Ismail. It’s a tough challenge for local players to move to Europe for various reasons. The difference in cultures and lifestyle make it difficult. Aspects like dietary changes and discipline, intensity of training and leaving families behind all have a massive impact. The Iraqi league finishing so late into the European transfer window causes problems too as players are expected to jump straight into their new sides without resting. I can see more players moving to Turkey before taking a step elsewhere. Before you became a familiar face in Iraqi football, did it come as a shock to you just how big football is to Iraqis? “The first time it really hit me was when we arrived in Sweden for our friendly match against Brazil. I must’ve been 19 or something. We arrived in the airport and it was completely full. The police were trying to control the fans but there were just too many Iraqis who had turned up to greet the players. The fans eventually forced their way into the baggage handling area. This one man, he must’ve been around fifty, he started hugging and kissing me. I was shocked and didn’t know what to do, or what was happening. I had goosebumps. It was the first time where I really appreciated just how big football was to Iraqi fans. Iraqi fans are always messaging me on social media too. They’re very nice – at least I think they are. They always write to me in Arabic and I don’t read Arabic that well. Sometimes its better to just pretend they’re all saying nice stuff! Away from the football pitch, what’s been your best experience so far with the Iraqi national team? 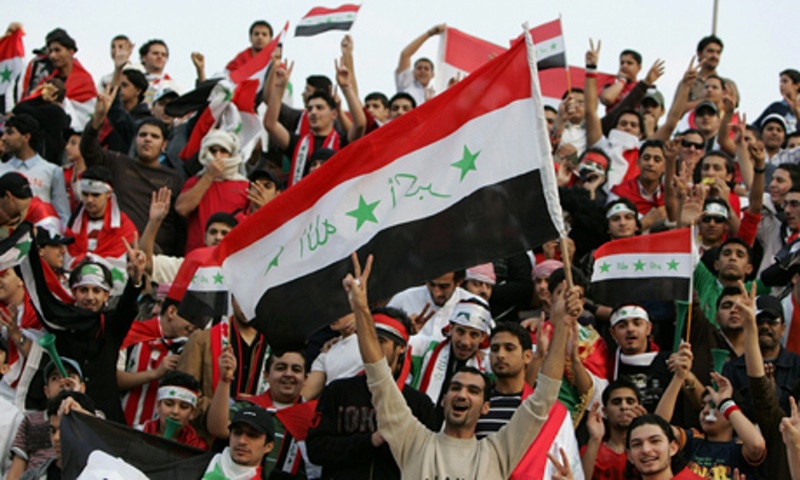 Do you have any memories of Iraq’s Asian Cup win in 2007? 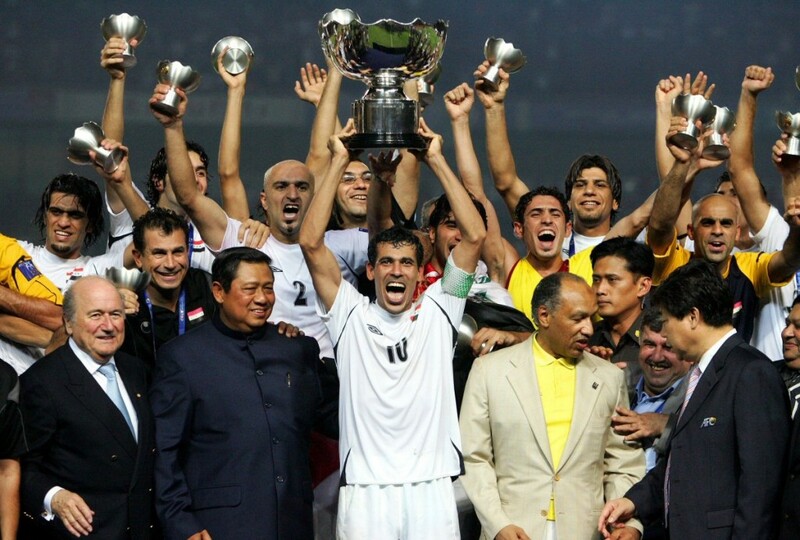 Captain Younis Mahmoud Lifts The Asian Cup In The Final After Scoring The Winner vs. Saudi Arabia, 2007. What was it like featuring in arguably the greatest Asian Cup match ever against Iran in 2015? “I think I almost had a heart attack! It was unbelievable. I didn’t play in that match so I was watching from the bench. It was very hard to watch – we were losing initially 1-0, then 1-1, then 2-1 for us, and it was in the last second they equalised for 3-3. After they scored, I couldn’t believe it. I remember thinking “this can’t be happening”. Afterwards, it went to penalties, which is different. Our player advantage didn’t matter and it was 50:50 again. After we won it on penalties, I remember the entire stadium exploding – loads of fans bursting into tears. It was amazing. We had a small party with the fans afterwards too. It’s the craziest match I’ve ever been part of. On the pitch, where does the Iraq team need to improve? Do you have any childhood memories of living in Iraq? “When I was three years old, there was an ice-cream truck driving around our area. I wanted to buy some and I asked my dad for money. I started running after the truck but I ran out barefoot, without my ni3al (sandles). There was some glass all over the floor, which I didn’t see. I ran over it and my feet were bleeding badly. I’m okay now though! Growing up, did you have any footballing role models, or players that you tried to base your game on? Who is the best player you’ve played against and which famous players have you swapped shirts with? “The Ramires shirt is my favourite, maybe. No! It’s my Mario Götze shirt from the European Champion U17 (representing Holland as a youth player). I also have a Jack Wilshire shirt. The Götze shirt is my favourite though. If you can change anything in your career, what would it be? Do you have any pre-game rituals or superstitions? On the pitch, how are your skills best utilised? What do you think the next step in your career will be? If you weren’t a footballer, what would you be doing for a living now? Finally, is there anything you’d like to tell the Iraqi jumhoor? I’d like to take this opportunity to thank Osama Rashid for taking time out to discuss all these topics so thoroughly and honestly with me. You can find him on Twitter @OsamaRashid92 and on Instagram @OsamaRashid8. Find me on Twitter too @Nashat_Hassan. Thanks for reading. An entertaining read. This is by far the best football interview I’ve read in a while. Thank you very much for the kind words. Glad you enjoyed our interview. Don’t forget to subscribe for future posts. Nice website!!! Definitely the best football website I seen in a while! Will be subscribing and listening to whatever comes next. Great Job! Thank you for the support, Dion. We look forward to welcoming you on our website!